With QALYA, Clariter proudly offers a mix of services boosting your product Technical Excellence combined with an outstanding CX and CJ. – Professional competences intrinsic to our team of certified experts operating in high-tech labs. Boost your own customer engagement and be a 5-star provider for YOUR CUSTOMER with QALYA. "Does It Work How It's Supposed To?" Improve the technical quality by reducing the number of defects in the field. "Does The Customer Actually Like It?" Improve the customer experience by listening to the sentiment of the customer. "Does The Customer Perceive Its Real Value?" Regular testing and surveying can only ever give a partial view of your product, as with the limited resources of your QA team and their naturally predisposed viewpoint, they can never compare with the complexities of the real world and that’s where Clariter comes in. We can complement your regular team in the real world providing that vital insight into your customers real-life experience, finding more defects and usability issues, in less time and before they can reach your end customers. Is our way of mobilising real users to trial your products and services to improve their quality, either through finding bugs or making recommendations about how the user experience can be improved. Is our data based approach, to the insight which can be gained from the analysis of the emotive comments, that your customers are placing on social networks. Our three Clariter Quadrants rank your performance compared to both your competitors and yourself over time. This helps to measure the improvements in the quality of your product or service based on the feedback from our campaigns. Technical quality and user experience improve accordingly using 2 models which may seem to be unrelated, but in reality are intertwined with each other. 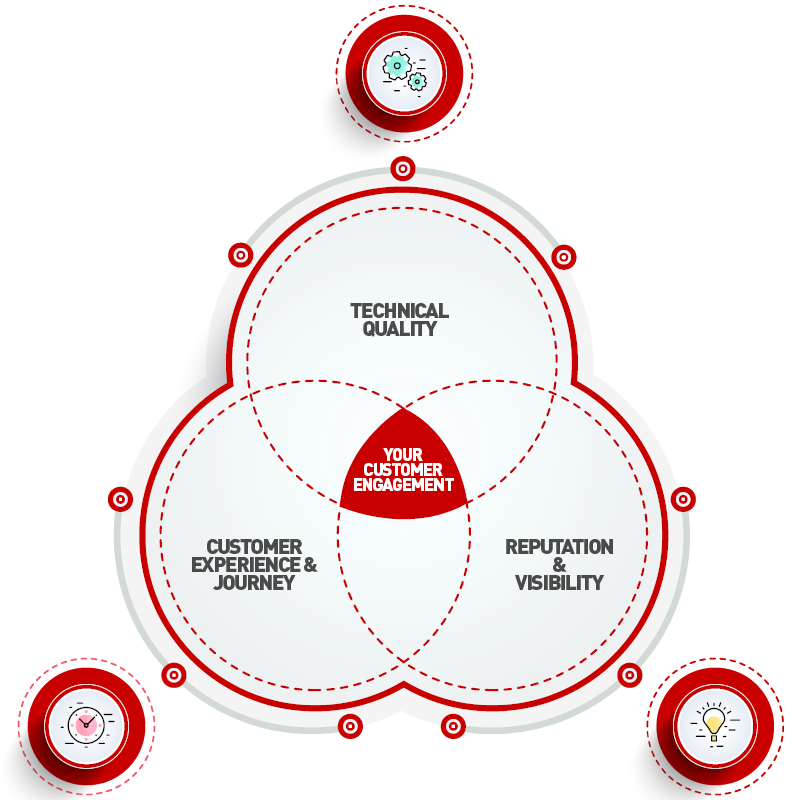 Customer Experience relies heavily on technical quality and vice versa. This quadrant shows how we measure it. Transform your customers into real promoters! By marketing the product or brand using real, happy customers, we’re able to focus on improving the product’s overall reputation and visibility. Whatever position our client is in, we will always ensure they are at the top, maximising their status as a Marketing Leader. 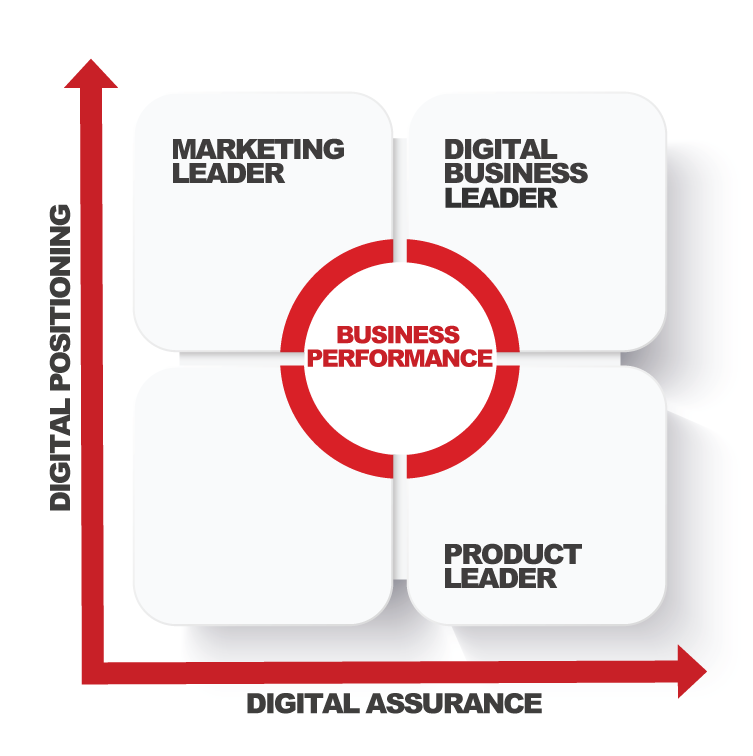 Business Performance therefore is a mix our two previous quadrants. 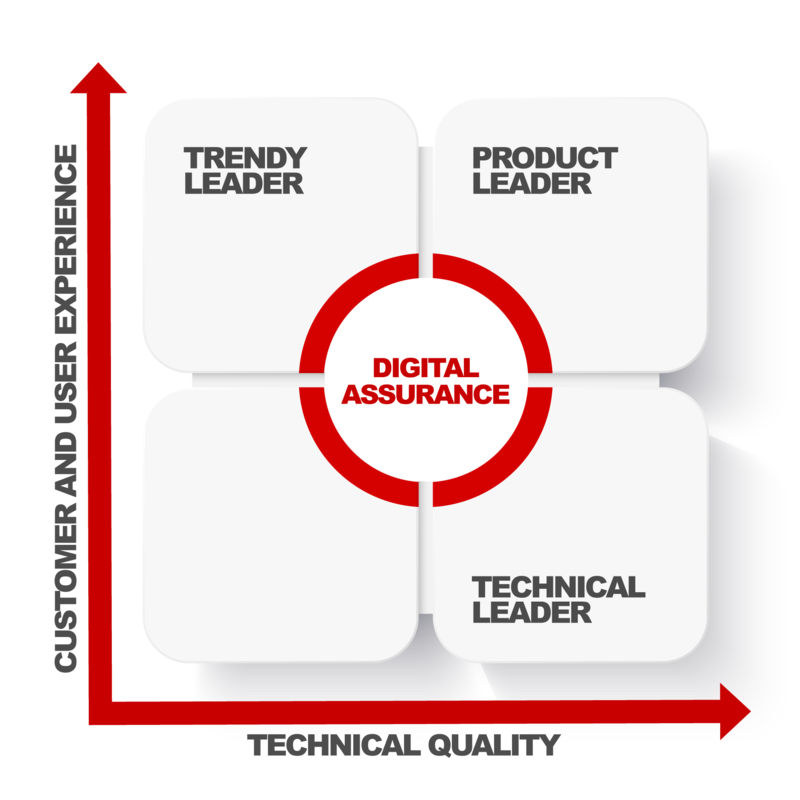 By first improving the Digital Assurance, which is Technical Quality and Customer Experience improvement, we’re able to ‘create’ the customers who then champion the product, boosting the Digital Positioning immensely. 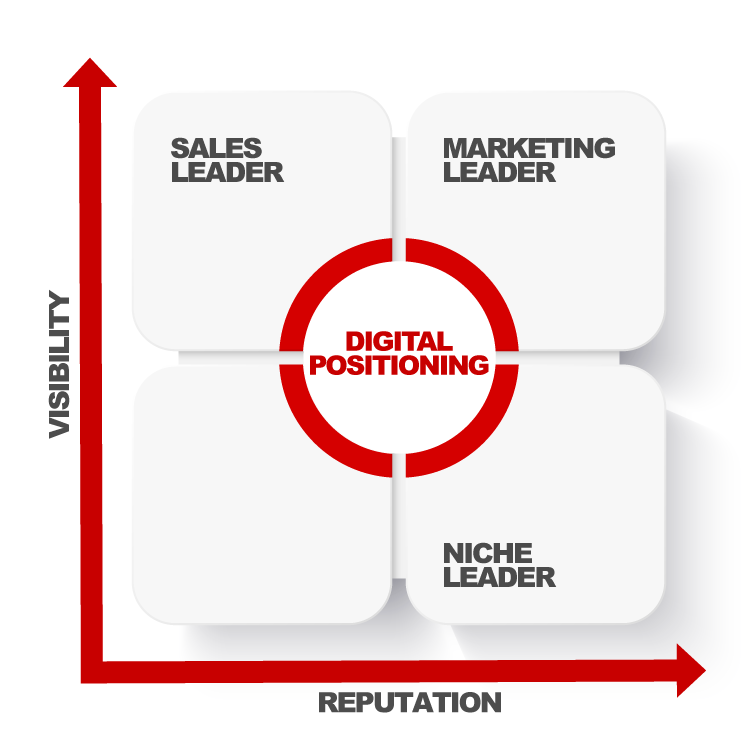 This helps us reach the end goal of being a Digital Business Leader. It doesn’t just require testing but also a continuous improvement approach, looking at every aspect of your product and service, from inception to purchase to after sales. TIM has decided to invest and strongly focus on the multimedia entertainment sector through its Video, Music and Gaming platforms. 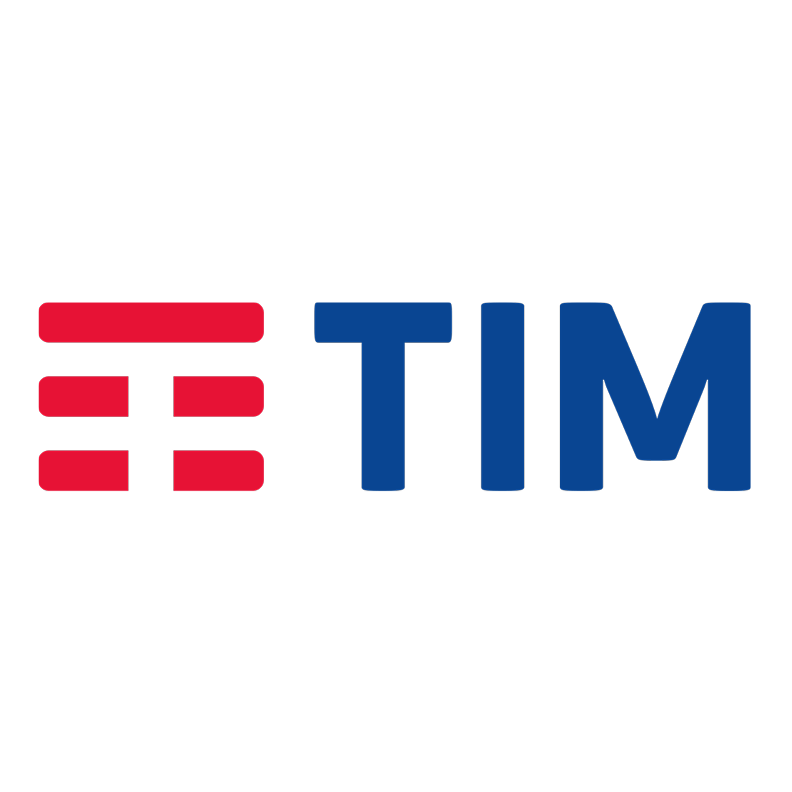 For TIM it was essential to constantly improve in parallel both the technical quality of the product and the customer experience for its consumers. Thanks to Clariter and its unique combination of In-lab testing, crowd testing and quality of experience activities, for guiding us to a position of market leadership, over the last three years. The current digital economy makes it more important than ever to retain your customers. Whether that's through quality of product, quality of service, brand reputation, or something else, understanding why your customers leave, or stay, will define your future success.